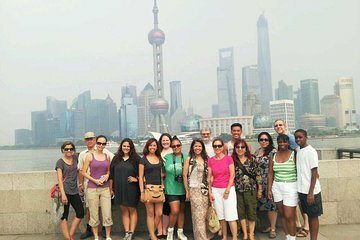 New arrivals to Shanghai can save time scouring travel brochures and researching online and spend it sightseeing instead on this full-day tour of Shanghai’s past and present. Explore Shanghai Old Street, home to cultural exhibits, boutique stores and ancient Qing and Ming-era architecture, and The Bund, Shanghai’s waterfront area with panoramic views of the Pudong District skyscrapers. Learn more about ancient China at the Shanghai Museum, home to vast collections of ancient artifacts, and stroll along the alleyways and avenues of the colonial Old French Concession.